Parents, mark your calendar now! VBS will be June 23-27, 5-8 pm. This will be a joint event with First Baptist and Mt. Calvary. All children from 4 years of age to 5th grade are invited to attend. Supper will be provided. More information will be forthcoming. Hello, Parents! In order to ensure the safety of each of the kids that you have entrusted into our care, we've developed 3 forms that we will keep on file during each calendar year. Please turn in your completed forms to Savanna as soon as possible. Below are the links to each form that you can download, complete, and return to the office. You may contact Savanna at [email protected] with any concerns or questions. Thanks to everyone who participated, volunteered, and donated to this year's Created to Create Camp. It was a HUGE success with almost 75 kids attending every day! It couldn't have happened without you! Following the 10 am worship service on Easter Sunday, April 1st, children should met on the sidewalk outside the Sanctuary to release butterflies and hunt Easter eggs around the town square. What an amazing Walk with Jesus we had this past Sunday! Check out all the fun experiences we had along our journey. Hope to see you at our next Worship Workshop. 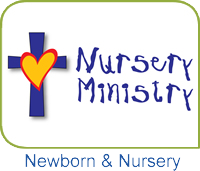 Every Sunday morning The Lambs (infants and young toddlers), The Guppies (toddlers and twos), and The Stars (threes and fours) make up the nurturing environment of our children’s nurseries. At each level, children experience God’s love through play, stories and manipulatives. 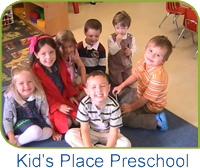 Kid’s Place is a weekday preschool program for children six months to five years of age. We are open 9am to 1pm Monday, Wednesday, Thursday and Friday. 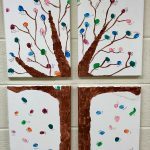 Early elementary children use the Montessori method to learn in Godly Play. The goal of Godly Play is to teach children the art of using religious language such as parables, sacred stories, silence and liturgical action to help interpret what happens in their daily lives. Storytellers encourage the children to enter into Bible stories and relate them to their personal experiences. 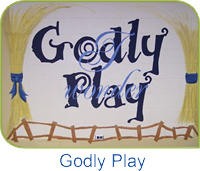 Godly play is concerned with the spiritual development of each child as an individual and with appropriate moral behaviors expected of people living within the Christian community. Kids Rockin’ Out in Sunday School! 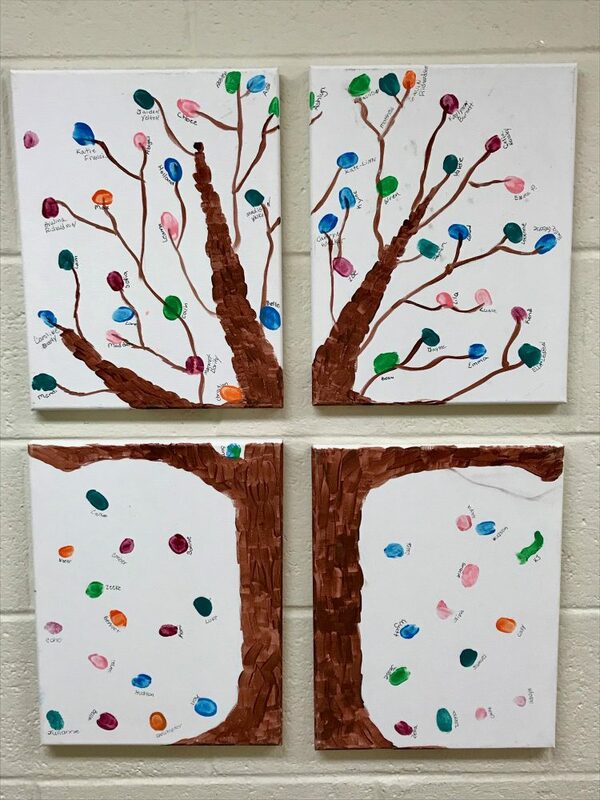 Starting on September 17th through October 22nd, 1st-5th Graders will explore how we may witness to our faith and share Jesus’ story with others. The children begin together in Room 312, before breaking into groups to explore Jesus’ calling the early disciples – and us! – through art, cooking, Godly play, science, storytelling or video. Come join the fun! Third Graders are paired with an adult mentor and participate in a 2 month interactive class “Learning to Use My Bible”. Each week they move around in centers that help them to learn more about this special book. Junior Fellowship is designed for 4th and 5th graders. We meet on the first and third Sunday nights during the school year. Each session begins with a snack supper, lively, interactive games and Bible discussion. One year is devoted to learning the Books of the Bible. The second year focuses on life and faith issues. 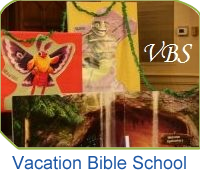 Summer VACATION BIBLE SCHOOL takes place for five nights during the summer. VBS includes interactive Bible stories, crafts, video clips, discussions, supper and lots and lots of singing. NO pew sitting allowed! 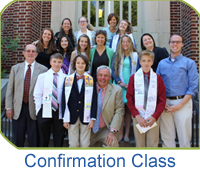 Confirmation Class is for rising 6th and 7th graders. These classes are designed to help the learn more about what it means to be a Christian and also to be a member of the United Methodist Church. Each student embarks on this journey with a mentor who journeys along beside them. This class will resume the spring of 2018. Camp Tekoa Foothills -- is the former Camp Loy White which was founded on May 6, 1962 by the White family and others as a memorial to their teenage son, Loy, who was tragically killed in an auto accident. Camp Tekoa Foothills became an extension of Camp Tekoa in 2016 and is located just down the road in Caser, NC. 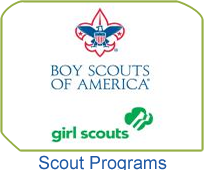 Girl Scouts— Girl Scouts meet at various frequencies and days of the week depending on the age group. Brownie troop leader is Wren Westbrook, Junior/Caddette is Heather White, Caddette/Senior is Liz Popwell and Caddette only is Andrea Wright. Contact Liz Popwell at [email protected] for more information. 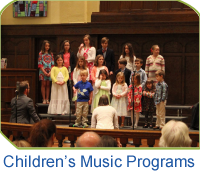 Central has two Children’s Choirs; Butterfly Choir for 4 year olds to Kindergartners and Sonshine Choir for 1st-5th graders. Both Choirs meet on Tuesdays from 6-6:45 during the school year. Crossfire is for 6th-12th graders and meets on Sundays 4:30-5:30pm during the school year.